Quite a number of devices are currently receiving essential software updates from various OEMs, including Samsung, Motorola, and ASUS. If you own a Samsung Galaxy S6 Active, which is an AT&T exclusive, you can download and install the latest security patch for the rugged phone. This version has March’s Android security patch and not for the month of April, which is actually the latest version in town. Since Samsung Galaxy S6 Active is still based on the older Android 6.0 Marshmallow, this security patch is also based on this OS. It carries software version G890AUCS6CPK8 and weighs 97MB. 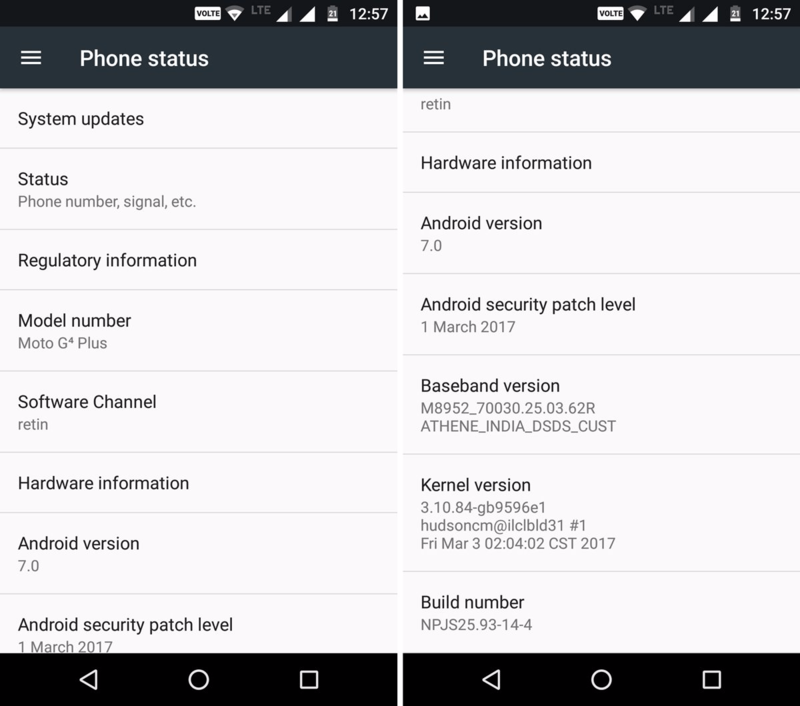 The phone joins the likes of Samsung Galaxy S7 and S7 Edge that are also receiving the March Android security patch from AT&T. As for those using the 9.7-inch Samsung Galaxy Tab S2, the newest version of the update, which is for the month of April, is currently rolling out to this tablet. The update carries software version T810XXU2DQCL and just like the Galaxy S6 Active, this update also carries a bunch of bug fixes as well as performance and stability improvements. Motorola is also giving a treat to some of its devices and the latest ones are the Moto Z and Moto G4 Plus. The former is receiving a security update for the month of February, which is a little lackluster from the Lenovo-owned company – a company that was once known for its timely software updates. The update carries software build number NPLS25.86-17-3-1 and unlike the Galaxy S6 Active and Tab S2, this one is based on the latest Android 7.0 Nougat OS. Similarly, the version rolling out to the Moto G4 Plus is also based on the new Android 7.0 Nougat OS, however, this OTA brings the March Android security patch to the 2016 budget phone. It carries build number NPJS25.93-14.4 and as usual, you can also expect to receive bug fixes and performance enhancements once this OTA is installed. Last but not least, ASUS is also showing some love to owners of the ZenFone Pegasus 3. The smartphone is currently receiving an OTA update that not only brings the security patch level to the month of March, but also adds a bunch of other improvements and optimizations. As per the change log, the ZenFone Pegasus 3 will be receiving improvements to voice calling and intelligent power saving feature, however, like the Galaxy S6 Active, you still have to deal with Android Marshmallow. On the contrary, we cannot confirm whether ASUS will be updating the Pegasus 3 to Android Nougat, something that has been confirmed for the S6 Active. Since all of these updates are rolling out over the air, it may take days or even weeks before all units actually receive the notification. Alternatively, simply head to Settings>About phone>System updates and you should be able to download and install the update files manually.